In the era of personalization and multi-ethnic cosmetics, makeup users expect beauty brands to create the perfect shade that matches their unique complexion. One key aspect of the user experience is shade fidelity: consumers expect the color of the foundation displayed on the shelves to match closely with the color of the same foundation once it is applied on their skin. 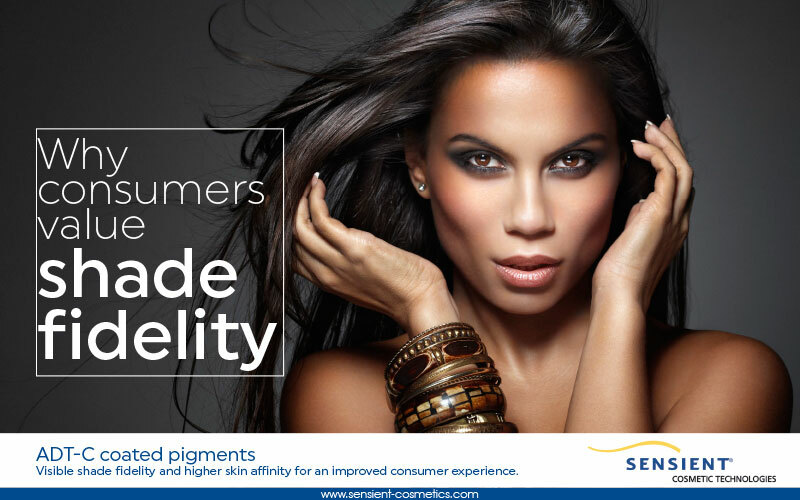 To optimize shade fidelity, Sensient® Cosmetic Technologies has developed ADT-C surface treated pigments, which demonstrates unprecedented compatibility with a wide range of oil and silicon phases. The improved dispersibility, even at high solid content, ensures complete color development of the pigments during the formulation and excellent shade fidelity upon application. What you see is what you get, and consumers love it!